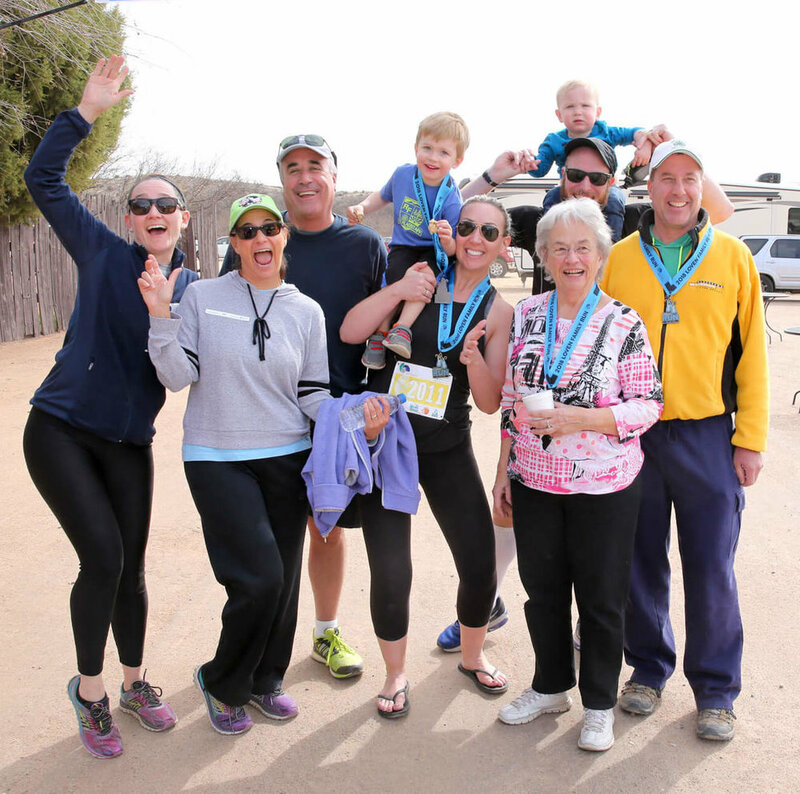 Mike Loven (3rd from left) and his family at the Loven Family Run. What are the touchstones of a successful relationship and how can they positively impact a community? Some say kindness, self-reflection, genuine interest, respect, and time, to name a few. As far as the second part of the question, one need only look at Flagstaff native Mike Loven for a glimpse at what’s possible. Guided by these central principles, Mike has put relationship-building at the forefront of his personal and professional pursuits. The outcome? A successful design-build and commercial general contracting company and a positive reputation as far-reaching as his generosity. When it comes to giving, quality healthcare is indeed a focal point for him and his family. Motivated in part by his belief that high-quality care leads to the vitality of a region and another by his connection to services provided for his sister, Elaine Loven, who passed away in 2009 from breast cancer, Mike has invested heavily in community health through his partnership with our Northern Arizona Healthcare Foundation. Designing and constructing Elaine’s Forest House, a new 12-bed hospice residence in Flagstaff, AZ named in memory of his sister. Enabling advanced technology and compassionate care at the Cancer Center of Northern Arizona Healthcare and EntireCare as a title sponsor of The Loven Family Run. Both programs directly impacted more than 700 lives during FY18. Serving as a major sponsor for specialty-specific Foundation events when funds go to areas of greatest health need. Mike recently committed to being the exclusive sponsor for The Loven Family Run moving forward, a move that essentially saved this important community event. Because of his deep-rooted passion for enriching the lives of others as well as his track record for social impact, Mike was named the first Foundation Philanthropist of the Year in 2017. We are so grateful for Mike’s leadership and most importantly, the purpose-driven relationship we’ve cultivated as partners over the years. His tenacity for community health is and will continue to be a long-standing part of his legacy in our region. If you would like to work with us to continue to expand our work in supporting local healthcare and health-enhancing initiatives while supporting Northern Arizona Healthcare hospitals, medical centers, and outpatient facilities, please contact Matt Brasmer at (928)213-6538 or via email at matthew.brasmer@nahealth.com.